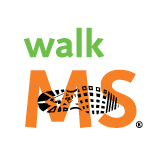 Thank you for your interest in volunteering with the Walk MS: Windsor event on Saturday, May 11, 2019. Please choose your preferred volunteer shift(s)/activities. Pay special attention to the descriptions to make sure you are able to handle what each role entails. Final confirmation with full details will be sent to you 1-2 weeks prior to the event. If there is a requirement for a background check or proof of insurance/medical license/etc. I will be reaching out to you directly after you sign-up. Both Iris and Linda volunteered for the medical tent last year. We really enjoyed it.